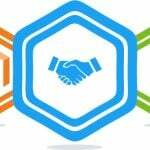 Yesterday, we reviewed Affiliate Plus for Magento 2 – a reliable instrument for implementing affiliate marketing on the basis of a Magento 2 website. And today we explore its add-on – Magestore Multiple Program Plugin, which works only with the core tool. So, what is the purpose of the Multiple Program Magento 2 extension? Unfortunately, Magestore no longer provides this extension. Since it was a supplementary module, check these Magento 2 Referral And Affiliate Marketing Extensions. The only drawback of the Affiliate Plus module is a restriction related to the number of affiliate programs: it is limited to only one. But the problem can be easily solved by installing the Magestore Multiple Program Plugin Magento 2 extension. The module provides the ability to create an unlimited number of affiliate programs, so you can implement different commission rates on the basis of product groups or customers. This makes your marketing campaign more precise and effective. You affiliates get a chance to choose among multiple programs. Furthermore, they can even participate in several enjoying different commission types. All programs, as well as their detailed descriptions, are available to everyone. Besides, it is possible to join or leave each program as wished. There is also an auto join opportunity, which works if an affiliate meets its requirements. 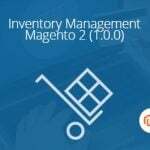 From the admin perspective the Magestore Multiple Program Plugin Magento 2 extension enables you to create multiple programs for certain products on the basis of categories, shopping cart conditions, or other circumstances. Besides, you can enable/disable certain customer groups or affiliates to join a program. It is even possible to assign each program to a specific banner. And of course, detailed stats on transactions and affiliates are available with the extension. Now, let’s dive deep into its backend and explore the frontend. 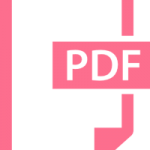 Action – you can edit or delete each program here. While editing a program, you have to deal with 5 tabs of settings: Program Information, Conditions, Commissions & Discounts, Transactions, and Affiliate Accounts. They include all options necessary to configure each program in the most effective way. It is also necessary to mention that the Account Information section gets a new tab called Programs. Here, you can view and manage programs related to the account as well as add new ones. There is also a new field on the Banner Information screen – Program Name. You can select a program related to the banner here. As for settings, they are enhanced with a new section – Multi-program Configuration. You can enable/disable the functionality of Multi-Program Magento 2 extension here as well as allow showing default affiliate program in the frontend. As for the frontend experience, it is also revamped. My Programs illustrate programs in which the affiliate participate. He or she can opt out as well as see other available programs. It is possible to join a new program with just one click. Magestore Multiple Program Plugin for Magento 2 enhances the default affiliate experience of the Affiliate Plus module. It adds some lacking features that can be extremely important depending on your approach to marketing. Note that Magestore Multiple Program Plugin is not a standalone extension, so it can be used only in combination with the core module. The price of the Multiple Program Plugin is $100.